The April meeting of the A3C3 will be Monday, April 4, 7 pm, at the Corner Brewery in Ypsilanti. I will be in Berkeley, CA that week, so T Paul is in charge! Hopefully, you will have good weather and good light for some out and about shooting. 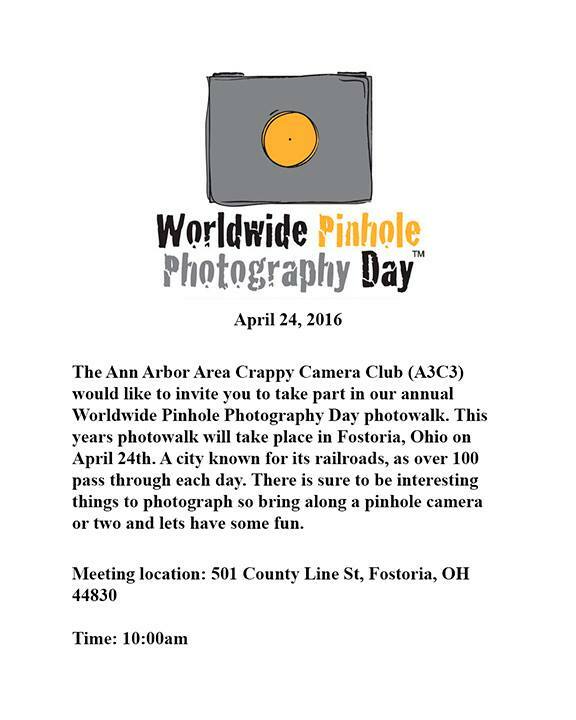 T Paul has also set up a meeting for Worldwide Pinhole Photography Day on April 24th in Fostoria, OH. Attend Monday’s meeting to find out more about WWPPD!